A kind of pleasant and somewhat unusual week really began two Saturdays ago. My granddaughter Lauren Stewart, 12, arrived early afternoon with a request. So we sat down in the living room to listen to Alice in Wonderland with Joan Greenwood as Alice and Stanley Holloway as the narrator. 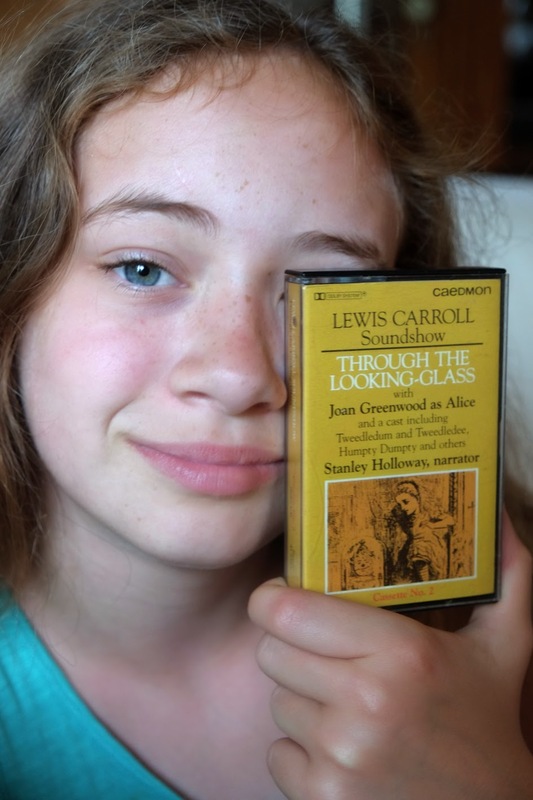 Lauren’s grandfather has a tape player (the Alice in Wonderland is a Caedmon/Book-of-the-Month Club cassette. There is another, Through the Looking Glass) a linear tracking turntable for records, a tuner for radio and a CD player. I can play anything. Both Lauren and I appreciate Joan Greenwood’s phenomenal voice. Just about a month ago we watched on a Saturday evening Alec Guinness and Greenwood in The Man in the White Suit. We did lots of laughing with Greenwood’s Alice. 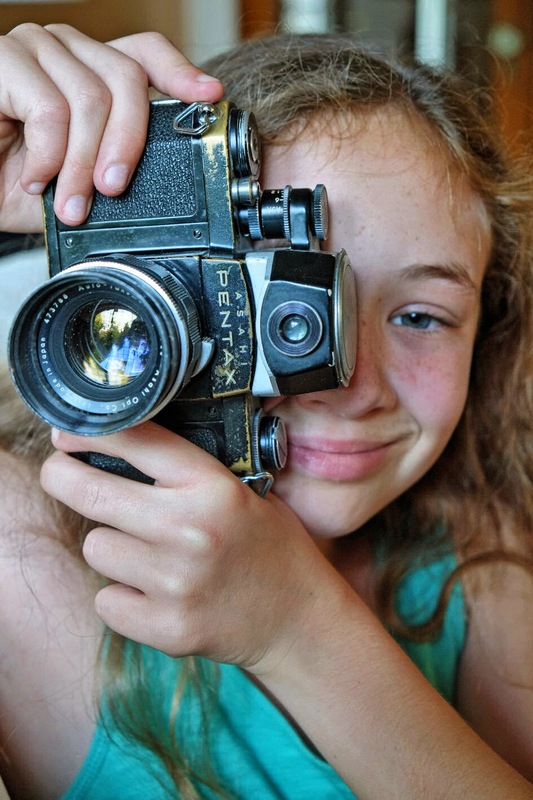 And then she floored me when she picked up my Leica IIIF and wanted to know how it worked. From there we went to my Pentax S-3 and I taught her how to focus and to click the shutter. During the last two weeks we have seen (before he died) The Notebook with James Garner, Me and Orson Welles with Claire Danes, Zac Efron and Christian McKay, Weir’s Gallipoli and finally this last Saturday evening it was the remarkable film (Lauren said it was boring but she wanted to know how it ended and what Duval’s mystery was all about) Get Low with Robert Duvall, Sissy Spacek, Bill Murray and Lucas Black. On that previous week Wednesday and Sunday Rosemary and I went to Bard to see Bill Cain’s Equivocation and then Cymbeline (the same cast of actors plus one more). I am still troubled after having read Kate Atkinson’s Life After Life. It took me three weeks to read it as I was disturbed by it. It is a novel that I will have to read again and again with that other one with a difficult to figure out ending Daphne Du Maurier’s The House on the Strand. But I have spent the last few days thinking about James Garner and how our present times seem to forget some of the important things men like him did before the age of the internet. In 1957 and 1958 while living in a dormitory for about 50 boys (bunk beds) at St. Edward’s High School in Austin we had a TV that was on a high table in one end. Particularly on Friday, Saturday and Sunday nights our prefect brothers would turn it on so we could watch in from our bunks. In those years there was only one TV station (I could be wrong about this perhaps there was NBC, too) it was a CBS affiliate owned by Lyndon B. Johnson. I remember watching Harbormaster with Barry Sullivan, The Hit Parade, Alfred Hitchcock Presents, Lloyd Bridges in Sea Hunt, and American Bandstand. By the time I was in the tenth grade (still in a dorm) we watched lots of Saturday morning TV. We watched Have Gun Will Travel, Gunsmoke, Maverick, American Bandstand, (Howdy Doody, too! ), Highway Patrol with Broderick Crawford, and a long lost (I could not find any references) in which Calhoun competed with Broderick Crawford as a cop in a car on a highway. I have given thought to the fact that in Garner’s obituary they mention his role as Bret Maverick but no mention is made that the program alternated from week to week with Jack Kelly as his brother Bart. To me it seems that between those two “adult” Westerns, Fred Zinnemann's, 1952 High Noon and Peckinpah’s 1962 Ride the High Country you have smack in the middle Gunsmoke, Have Gun Will Travel and Maverick. In our 10th grade dorm we had a predilection for the no-nonsense almost brutal violence (in 30 minutes) of Richard Boone in Have Gun Will Travel. I would not have known that Peckinpah directed some of the episodes. There was one episode I will never forget were Boone opens the swing doors of a saloon and fires his sawed-off shotgun (it might have prefigured Straw Dogs). One of my boarder classmates was the sophisticated Daniel Sherrod who read Road & Track (we all read the rest of the car magazines). His father had the Aston Martin dealership in Odessa, Texas. Sherrod was the only one who knew anything about Grand Prix racing and how to pronounce Peugeot. He liked Maverick. I can understand that now. There was a level of sophistication, less violence and the Maverick brothers got banged up a lot for hearsay card cheating. There was little of the old-fashioned gunfight draws. Few might not remember that when Garner quit Maverick Roger Moore stepped in as cousin Beau Maverick. It would seem to me then that Maverick was a very important show to which few have remembered exactly why it was important. But then few might remember that in those days we unsophisticated Texan and adopted Texans watched Walter Cronkite and believed that his word was his bond. Link to: Who Was Jack Kelly?